Try to give her a perch at eye level. Spend time in the room doing other things than talking with her. Give her time to watch you and figure you out. She is not wild. She is scared. Has she bonded to the other bird? Liz, it's highly unlikely that a tiel would bond with a GCC. Nako, you obviously have very good intentions when it comes to your cockatiel but I am afraid that you are not looking at things from the bird's perspective. Cockatiels are not companion parrots, they are aviary and, as most of them are parent-raised, they never really bond with people. You were also not helping things much when you insisted on touching her with the millet (putting your hand in a bird's cage when the bird is not deeply bonded to you is counterproductive because you are telling the bird you cannot be trusted). Now, the question here is who is the one that you would prefer to be happy? You or the bird? Because, for a cockatiel, happiness is having another tiel as a companion, good food to eat, and the ability to fly. Humans are not necessary for their happiness and they only resort to them out of sheer loneliness. Do you think I should get another cockatiel? I mean obviously not introducing them straight away. And Tilly and the gcc whistle too each back and forth in the day, but I keep them in separate cages obviously, my gcc isore interested in than her then she is him. I was advised not got get her as a pair as I originally was going to do. I'll be honest with you, personally, I would not consider having a lone aviary bird. 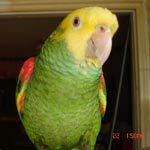 I know that a lot of people will say it's OK to do this, that their bird loves them and is happy with the life it has but there is a good reason why some parrot species are classified as companion and others as aviary. All parrots are highly social so they all NEED (and relish) company but companion birds can be satisfied with a human companion (as long as the husbandry is good, of course) while aviary birds are never completely happy on their own once they become sexually mature. So, yes, if the bird was mine, I would get it a large flight cage and a mate. Looking through the forum and on youtube and facebook many people have great bonds with their Cockatiels. But most of them only have a cockatiel and spend time and interact with it for what it is, a big bird in a little body. I got Lola because she was bought to be a companion for another Tiel. That Tiel had already bonded to a Grey and did not want to be bothered. The woman was dying of cancer and wanted to rehome all three but I was not ready to take another species than my Cockatiels and with only 3 or my originals being social. Though some of my rescues came to me thinking I was the best human in the world because of the food and care (Phoenix and Jackie) others are slowly learning from the original 3. It may not work but it is worth a try.